Happy 2011! We shall meet again next year! There are just missing a few hours to the end of 2010, a year we will definitely remember in Malagacar.com, since during this year more 20,000 new customers have used our services for car hire in Malaga. With this message we want to show our gratitude, since it is you who have turned Malagacar.com into the leading rent a car company in the Costa del Sol. But the story does not end here, if the year 2010 has been very good, the next one will be even better without doubt. We’re in negotiations with the major car brands, including Ford, Volkswagen, Fiat, Chevrolet, Kia and Opel. We renew our fleet every year in order to provide our clients brand new cars and the latest models available. We are thus very interested in knowing you favorite brand and car model. You can do so on our pages in Facebook, Twitter or further below, writing a comment on this post. 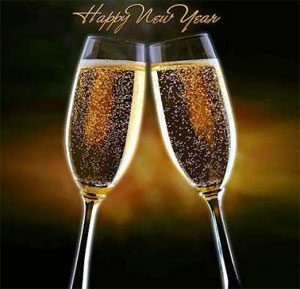 We are looking forward to see you soon again in Malaga and wish you a Happy and prosperous New Year 2011! 2 Responses to Happy 2011! We shall meet again next year! We just returned on 29th December from our Christmas break. Your service was excellent, as usual, and we were especially pleased when we were driven in our hire cars into the airport, instead of having to unload, re-load and unload our luggage again. Thanks for your efforts, it really made a difference! Happy New Year to all your staff, we look forward to seeing you again soon. Thank you! It is a real pleasure to work for customers like you. Have a nice New Year’s Eve!